There are different types of wills that a person can use in order to leave his assets to his heirs. The type of will a person chooses has to be legally valid in order to ensure that it will be honored when the person passes away. While New York allows the use of written and oral wills, there are certain restrictions that should be kept in mind when choosing which form to use. The general rules about writing a will in New York are that the will must be witnessed by two witnesses, who must sign the will after they see the testator sign the will in their presence. The person making the will is also required to be of sound mind and over the age of 18 years old. Written wills are not required to be notarized in order to be valid. Wills should generally be in writing. However, New York allows oral wills, also known as nuncupative wills, only for service members who are serving in active combat. A will that would be made by the testator recording his will via video or audio means would be considered an oral will. Oral wills that are made under the permissible conditions are only viable or valid for a short period of time. If for example, the person is no longer in the military in an active combat zone, he would have to execute another will in writing. When it comes to written wills, New York accepts holographic wills, which are handwritten wills, under certain circumstances only. A holographic will is required to be written completely in the testator’s handwriting. In addition, like an oral will, a holographic will is only valid in limited circumstances, for members of the armed forces. An out of state holographic will may be acceptable in a New York court if it was executed in accordance with the law of the other state, as long as it does not otherwise violate New York law. The best way to ensure that you have a valid will is to have the terms of your will reviewed by a knowledgeable attorney. 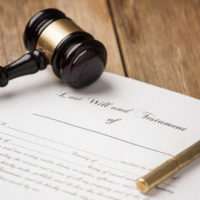 While it is very important that the form of the will is correct, it is also important to ensure that the terms of the will can be enforced in order to avoid challenges later on. There are other ways a will can be attacked other than in its form, for example, by someone claiming that the testator did not have capacity or was under undue influence. An attorney can also advise you on whether or not there are other ways to transfer your property to heirs in a way that avoids the delays of probate. Even if you do not have an extensive estate, it is always a good idea to have a will in place that you regularly update as things change in your life. To have an experienced attorney guide you in writing your will, contact a knowledgeable estate planning attorney at Meyer & Spencer, P.C., with offices in Pleasantville and Mahopac, New York, and serving Westchester and Putnam Counties.